This is a story is about attention to detail and demonstrates the fine line between success and failure. On Tuesday last week (27-Sep-16) I was in Chinsali District. I worked here from 1985 to 1989 and so I was returning after 27 years. All my old haunts were still there but so much has happened around them. There are now 2 filling stations, before there were none. There were no two storey buildings, now there are 3 or 4 multi-storey government office buildings. Previously, all the shops were on both sides of a single road. Now there is a bustling town centre with hundreds of shops including two pharmacies. Chinsali is a significant place for ColaLife as it was here that the inspiration for our work was born. It was while working here that it first struck me that I could get a Coca-Cola virtually anywhere I went but could get nothing to treat a child with diarrhoea which is still the third biggest infectious killer of under 5 children here. The purpose of this trip to Northern Province, which also took in Kasama (28-Sep-16) and Mbala (29-Sep-16), was to check on the progress of delivering the public sector version of Kit Yamoyo, the GRZ ORS/Zinc co-pack through the public health system. I was travelling with my counterpart, Albert Saka from Keepers Zambia Foundation. Our first stop was Chinsali District Hospital where they had plenty of stock of the co-pack in boxes of 150 kits (3 bags of 50). These are being delivered to them by MSL the public sector medical stores and distributor – so far so good. 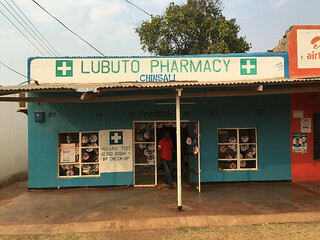 We then travelled with the District Pharmacist 40km north of Chinsali Town to Mundu Rural Health Centre which serves a population of around 8,000. We learnt that they were recording an average of 5 diarrhoea cases a day (150 a month). All the staff we met here knew about the GRZ co-pack but there was no detailed knowledge of the product and they had no stock. The co-packs ran out about two weeks ago. Not good. Apparently, the person we had trained in the GRZ ORS/Zinc co-pack had moved on and obviously there had been no hand-over. Albert demonstrated the kit to the staff and they vowed to collect kits the next time they were in Chinsali. 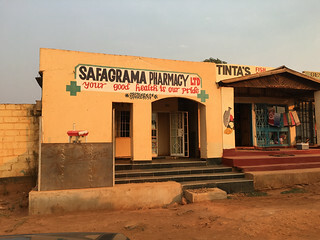 Unfortunately the District Pharmacist did not carry kits with him on this trip so we left the health centre as we found it with no stock. The next visit was to Lubwa Mission Rural Health Centre. Here we encountered a completely different situation. Elvis Simambwe, the Clinical Officer in Charge, greeted us. Here they were treating 3-5 cases of diarrhoea a day with the number of cases increasing due to season (higher temperatures, less, more contaminated water supplies). All cases were being given the GRZ ORS/Zinc co-pack and they had 50 kits in stock. On this trip the District Pharmacist carried a box of kits (150 kits) and these were signed for and left at the centre. Elvis was obviously very enthusiastic about the kit and said that he’d received no negative feedback only positive. The kit works and caregivers (mostly mothers) like it. Interestingly, the GRZ ORS/Zinc co-pack is being referred to as ‘Kit Yamoyo’ even though it doesn’t carry the Kit Yamoyo name or branding. This extends to the way it is recorded in the dispensing register (see yellow highlight in the image below). This will all help is establishing the brand in the district ready for when it’s available in the private here (planned for Jan-17 onwards). Trained and motivated staff on the frontline are crucial. Part of Elvis’s motivation came from his experience of dispensing it to mothers. Where transport is a valuable and scarce commodity, think ahead and make the most of every trip you make. We should have carried kits to Mundu. Two changes in procedure were discussed during these two visits. One seemed to gain traction and the other less so. This first suggested change was that a box of the GRZ co-packs (150 kits) should be sent to the health centres every time their boxes of essential medicines is sent. These boxes of essential medicines, referred to as ‘Health Centre Kits’ are pushed out to centres (they don’t have to order them). There seemed to be some reluctance to this idea in Chinsali but this does seem to be happening in other districts. The second was that Community Health Workers should carry AND dispense the co-pack during their out-reach work. 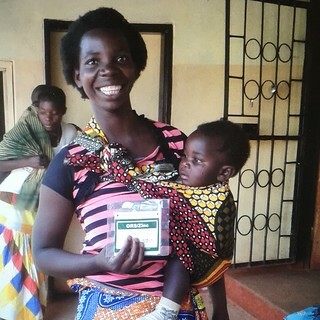 As well as getting more kits into the hands of mothers, this would also spread the knowledge of the co-pack across the teams at health centre level so that the system is less vulnerable to the transfer of staff trained in the co-pack which seems to happen quite often. … we visited the Chinsali “Urban Clinic”. This is the first port of call for people living in the town with serious cases referred to the District Hospital just up the road. At this clinic they had plenty of stock and were dispensing 15-20 kits a day. All diarrhoea cases were being prescribed the public sector derivative of Kit Yamoyo, the GRZ ORS/Zinc co-pack. This was simply fantastic to see and demonstrates what can happen when all the key elements of success are in place: effective distribution by MSL to the District; effective onward distribution to hospitals and clinics; trained and motivated staff.